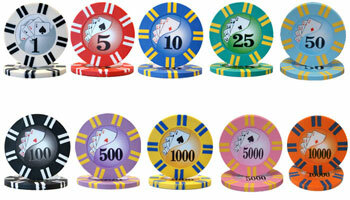 Get a set of poker chips you can be proud of. 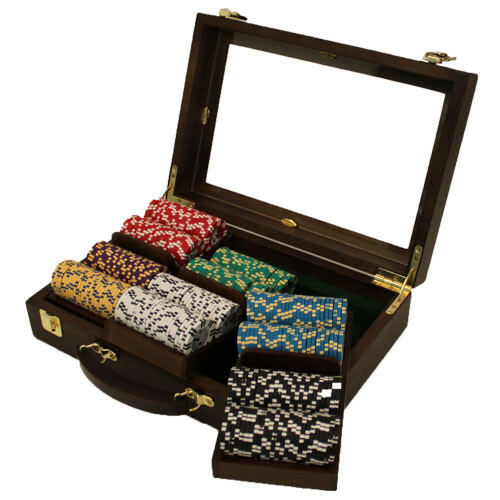 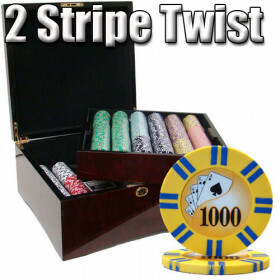 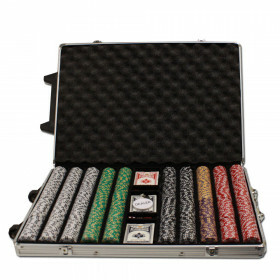 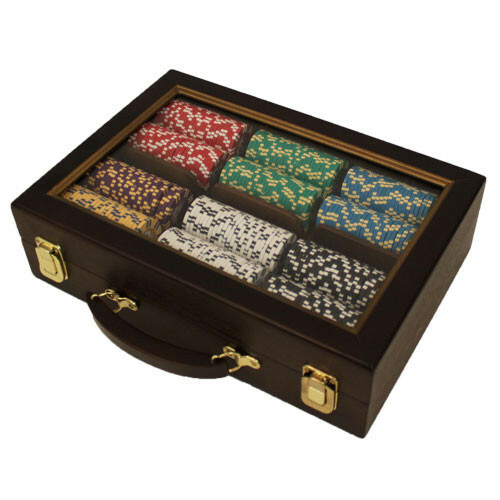 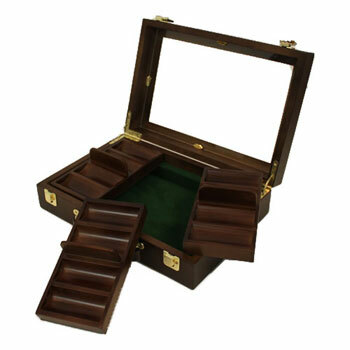 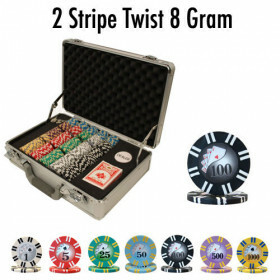 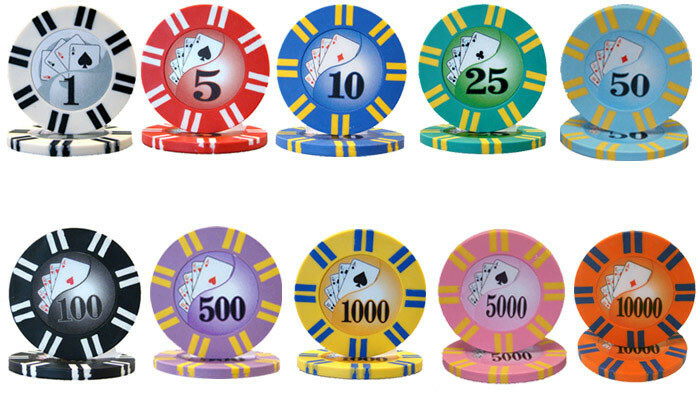 This 300pc set of 2 Stripe Twist 8 Gram poker chips includes a stylish walnut storage case with removable chip trays that will keep your game organized on the shelf or on the table. 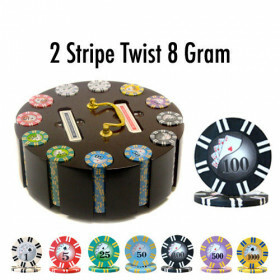 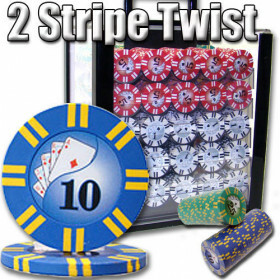 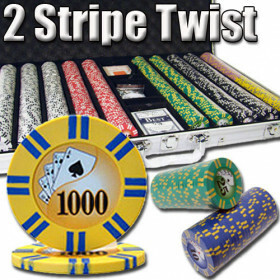 300 2 Stripe Twist poker chips.